If you expect the faster Wifi connection, meaning much faster than is currently, may be this news worth listening to. 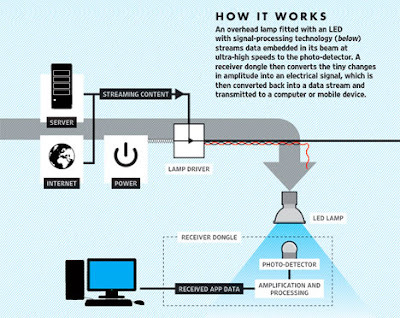 Li-Fi will be a new technology for the data transmitting that is claimed 100x faster than Wi-Fi and this one uses the spectrum of light instead of radio frequencies. In contrast to the Wi-Fi commonly using a router to deploy Wi-Fi signal, The Li-fi use light to transmit data with the help of an instrument called the Li-Flame Ceiling Unit and while to receive the signals using a device called the Li-Flame Desktop Units connected to a computer or notebook via a USB connection. Li-Fi was today claimed to penetrate the speed of 1 Gbps but in theory this technology is capable of reaching speeds of 224 Gbps, in addition to fast, Li-Fi also safer of the radio frequency interference problem and more secure because the Li-Fi signal not spread like the Wi-Fi signal but rather focus in certain areas only. 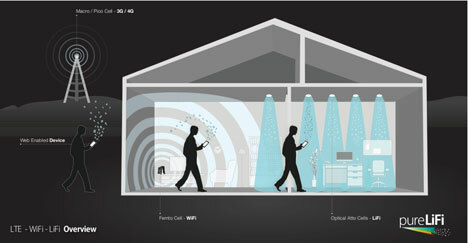 Li-Fi also claimed to be more efficient in terms of costs of production compared with Wi-Fi and no less important, if the current problems the Wi-Fi signal is still a debate whether it can be detrimental to health or not, Li-Fi that use light or lights claimed to be very safe because it in this case the claim has been no lights can harm health in the long term. 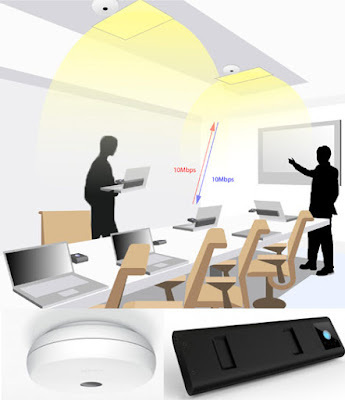 But do not like it, because it uses light as the connection of course has limitations where we can often move would be a problem if the Li-Fi points not spread evenly in the room, it looks like Li-Fi better suited for an alternative to a LAN connection or Wi-Fi that has a position always the same as in the PC/notebook is on the desk.